(Reuters) — Creditors of bankrupt Tribune Co. will have to wait a little longer before they get their say about the best way to end the sprawling media company's two-year stay in Chapter 11. A bankruptcy judge on Monday sent back for a rewrite some of the hundreds of pages of documents that describe four competing plans for repaying the debts of the owner of the Los Angeles Times and Chicago Tribune. Once those changes are in place in the coming days, the judge, Kevin Carey, said on Monday he will consider them again for approval on Dec. 6, 2010. Approval would clear the way for creditors to vote on the plans. The creditors, including hedge funds, suppliers, tax collectors and landlords, have been waiting to be paid since December 2008, when the owner of newspapers and about 20 television stations filed for bankruptcy. 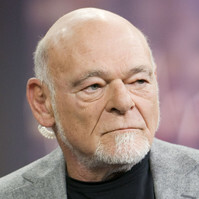 Tribune's dash into court protection from creditors came a year after real estate developer Sam Zell bought the company with about $8 billion of debt. Bankrupt companies usually ask creditors to vote on just one plan for repaying debts, but Tribune's creditors will be asked to vote on an unprecedented four competing plans. "There are more plans in this case than I have ever seen in my life," David LeMay, who represents the official committee of unsecured creditors in the case, said in court on Monday. The Chadbourne & Parke attorney called the case a "four-ring circus." The situation has arisen from deep divisions over how to deal with legal claims stemming from Zell's buyout and the company's bankruptcy, which wiped out roughly $2 billion of the Tribune bonds that were issued prior to Zell's buyout. The company has teamed up with lenders JPMorgan Chase & Co. and hedge funds Angelo, Gordon & Co LP and Oaktree Capital Management LP to back a plan that settles some of the biggest legal claims in exchange for giving $420 million to bondholders. Bondholders led by the Aurelius Capital Management hedge fund have proposed putting those claims at the center of their all-out litigation plan which they say could be worth billions. Monday's hearing pitted Aurelius and its demands for more disclosure about the holdings of JPMorgan and its allies against the backers of the company's plan. Bondholders will not be paid until the company pays off the billions in loans used to fund Zell's deal. As the loans are worth more than the company, that leaves nothing for the bondholders unless they can prove the loans essentially rendered the company insolvent. If proven, that puts billions of dollars of loan claims at the back of the line for repayment. Creditors will have the choice to vote for all four plans or against all four -- or something in between. Their votes will help determine which plans are confirmable. A plan is confirmable generally if it has creditor support and meets various standards under the bankruptcy code. If more than one plan is determined to be confirmable, the judge may have to pick a winning plan after hearings on the issue that are scheduled for March. Bondholders were emboldened earlier this year when a court-appointed examiner determined that $3.6 billion of the amount Zell borrowed to buy Tribune could be successfully attacked in court as a "fraudulent transfer." Such a ruling would put those claims at the back of the line for repayment.